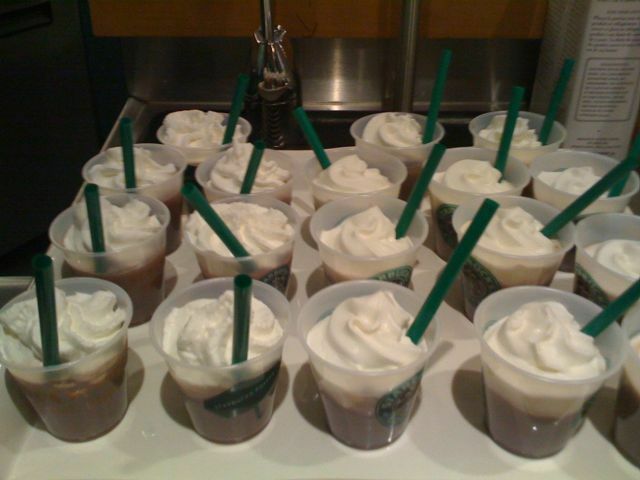 I got to make little samples of our iced mocha and pass them out. Look how freaking cute! I got made fun of for all night for how excited I was, but can you really blame me! Tiny straws!